I always love when there’s a cool story behind a great product! So, I was super excited to learn that the inspiration for the Clinique High Impact™ Lash Elevating Mascara came from the Clinique team in Mexico. They were inspired by the practice of many Mexican women who use a teaspoon to curl their lashes instead of using a traditional lash curler. This practice originated because women felt that most lash curlers only crimp their lashes in one place. The mascara has an awesome mousse-like texture due to its key ingredient, Hueso de Mamey (“oil of Mamey”), which helps condition and maintain the health of lashes. 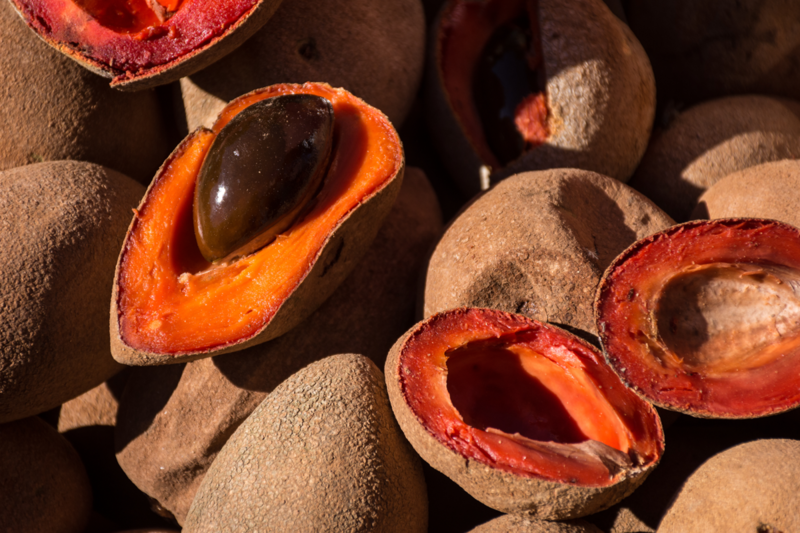 Derived from the seed of the Mamey Sapote fruit, the oils are carefully extracted from the seed of the ripened fruit, which is found in Mexico, Central America, the Caribbean, and South Florida. So, while wax-based mascaras can cause drooping over time, High Impact™ Lash Elevating Mascara gives me the look and hold without all of the extra effort! P.S. - a quick application tip! For extra oomph and lasting curl, apply the mascara on top of your upper lashes and allow it to dry. Then apply a coat from below, as usual. As the polymers dry they help pull up the lashes from the top and push up from below. P.P.S. If you're a Spiritú member, don't forget to sign in and check out Clinique's special offers just for you this season!